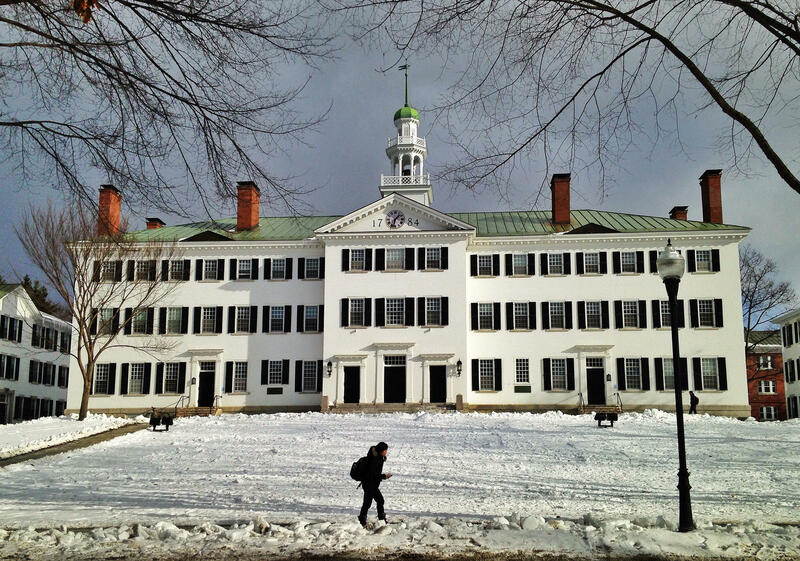 Dartmouth College in Hanover reported an acceptance rate last year of 8.7% for the incoming freshman class. Applicants have been known to increase their chance of admission by pursuing niche sports or musical instruments. 50 high-profile cases of college admissions fraud made public by the FBI last week have ignited a national conversation on college admission and wealth. The recent story is unique but the theme is not: wealthy parents can increase their child's likelihood of getting into elite schools through both legal, illegal and somewhat shady means. We discuss where money influences the merit-based system of college admissions and how schools act to even the playing field of economic advantage. Listen to our conversation on college admissions. Jessica Lahey: a teacher at Valley Vista in Bradford, VT, regular contributor to The Atlantic and New York Times, and the author of The Gift of Failure: How the Best Parents Learn to Let Go so Their Children Can Succeed. The New Hampshire Higher Education Assistance Foundation, or NHHEAF, offers a suite of resources for students at every level, kindergarten through graduate school. Check out resources for planning for college here. A report on holistic, low-stress college admissions co-authored by Derryfield School's Brennan Barnard titled "Turning the Tide II: How Parents and High Schools Can Cultivate Ethical Character and Reduce Distress in The College Admissions Process." Find a bulleted list for parenting your college-bound child on their site. Read Jessica Lahey's recent articles on parenting your child through their education. A new national study finds high school graduation requirements in New Hampshire don’t align with criteria for college admissions. The research from the Center for American Progress finds that in many states, including New Hampshire, there’s a gap between what is required to graduate from high school and what is required to start at the local public university.